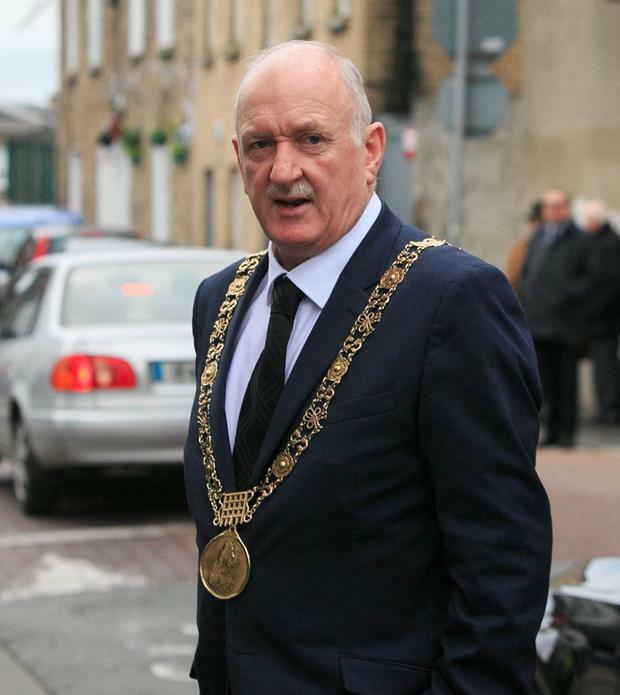 Dublin Lord Mayor Nial Ring is being hailed a hero after he got out his car to stop a fleeing burglar in the city centre. The mayor was on his way to launch the St Patrick’s Day festival this afternoon when he noticed a young man running down Peter Street, near St Stephen’s Green. According to eye-witnesses, the male was seen breaking into an apartment at Cannon Court, Bridge Street shortly before 12 noon. Speaking to Indpendent.ie, Mr Ring said he saw another man running after the burglar when he decided to take matters into his own hands. “I quickly told my driver to stop the car a few metres ahead of the man in a bid to cut him off at the end of the street. “There was someone else chasing him, shouting ‘stop, thief’, so I knew something quite serious must have happened. “When I got out of my car, the man was out of breath and had basically given up by the time myself and another man grabbed him. Mr Ring added that in less than a minute gardai arrived at the scene and arrested the individual. “I wish I could say this guy was a 6′ 6” bodybuilder, but he was only a small enough lad in his early twenties. “It was the first time I’ve helped to make a citizen’s arrest, but it was certainly less dramatic than it all sounds,” he said. Staff at Marsh’s Library on St Patrick’s Close, who witnessed the incident, posted what they saw on Twitter. A Garda spokesperson confirmed the incident. “Gardaí in Kevin St are investigating a burglary which occurred shortly before midday on 12th February 2019, at Cannon Court, Bride St.